Now in 2016, we are already seeing these predictions come true. There have been six storms already since the beginning of winter and a weather station in Donegal recorded its wettest day for any month since 1885 and its highest December temperature in 60 years. There has been unprecedented flooding in many parts of rural Ireland combined with severe winds. 70 millimetres of rain and gusts of up to 120km/h have been recorded along the Atlantic coast and around the country ferry sailings have been cancelled, roads closed and rail services disrupted. The Office of Public Works (OPW) issued a report stating: “we remain in a severe flooding situation on the Shannon catchment and many of the above other catchments. Ongoing flood defence efforts (for example pumping) will have to continue for some time yet”.Drone footage of Enniscorthy after Storm Frank shows the disastrous levels of inundation suffered by the inhabitants of that town. It seems that the frequency of storms hitting the UK and Ireland has led to the development of a project by the UK Met Office and the Irish Met Eireann “to name severe winter storms, much in the same way that hurricanes are named.” The press were giving unofficial names to the storms, sometimes given different names by different sources leading to confusion. Hence Storms Abigail, Barney, Clodagh, Desmond, Eva and Frank and we can look forward tostorms Gertrude, Henry, Imogen, Jake, Katie, Lawrence, Mary, Nigel, Orla, Phil, Rhonda, Steve, Tegan, Vernon, Wendy. 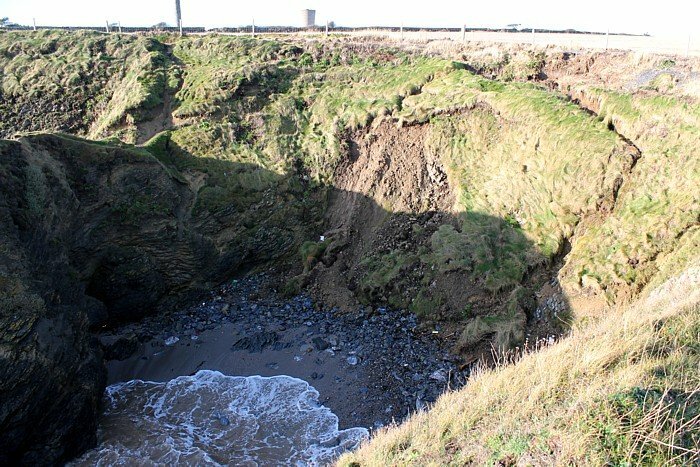 The C4I report also noted that “[s]ea levels are rising on average about 3.5 cm per decade around Ireland.” Coastal erosion, especially at high tides, is becoming apparent all around Ireland with dunes being eroded and cliff faces sliding into the sea (see photos of local examples). 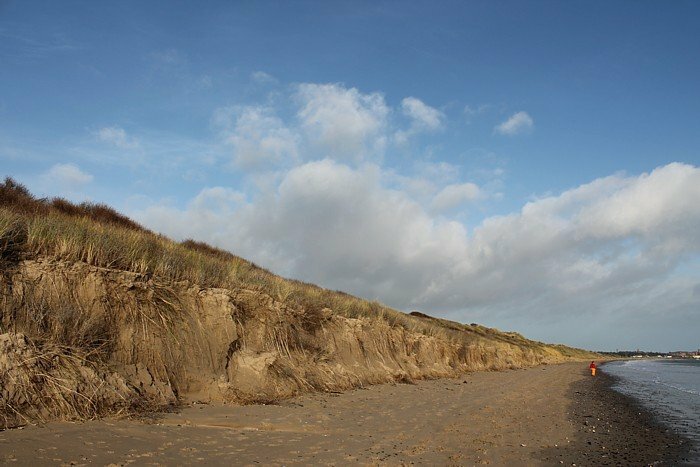 Corballis Beach, Donabate (Photo: Caoimhghin Ó Croidheáin, December, 2012). The Donabate-Portrane cliff walk near Dublin. The constant heavy rain of the last few weeks combined with high tides has caused a drop of around three feet in this landslide. The rest could collapse any moment (Photo: Caoimhghin Ó Croidheáin, January 2016). 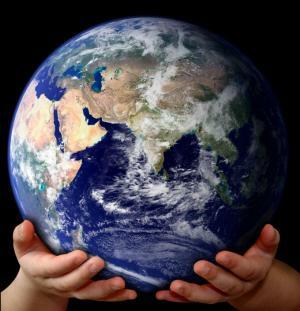 However, on an even more urgent note, the Intergovernmental Panel on Climate Change has stated that “there is strong evidence that global sea level gradually rose in the 20th century and is currently rising at an increased rate, after a period of little change between AD 0 and AD 1900. Sea level is projected to rise at an even greater rate in this century. The two major causes of global sea level rise are thermal expansion of the oceans (water expands as it warms) and the loss of land-based ice due to increased melting.” If the rise in sea levels is not decelerated significantly then the result will be permanent inundation of large parts of coastal and low-lying areas of the country. Examples of the possible effects of rising global temperature levels on sea levels can be seen in the ‘Risk Zone’ maps of Climate Central. If major steps are not taken soon to solve these potential disasters then we will discover that our ‘sandbagging’ will eventually become an expression of regret rather than community cooperation in the face of adversity. Caoimhghin Ó Croidheáin is an Irish artist who has exhibited widely around Ireland. His work consists of paintings based on geopolitical themes, Irish history and cityscapes of Dublin. His critical writing based on cinema, art and politics along with research on a database of Realist and Social Realist art from around the world can be viewed country by country on his blog.